All GSTA members should vote for President Elect, Secretary, Elementary Representative, and High School Representative. Only votes coming from members in the respective districts will be counted for the District Director positions. 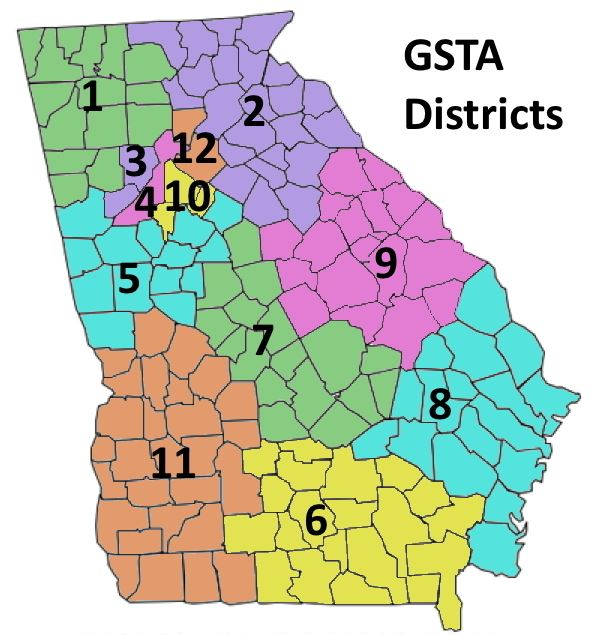 Please remember that this election represents the transition to GSTA's new district boundaries, which are shown in the map below. Please identify your new district by finding the county in which you work on the list below. The following positions are open for 2016 voting.